This has been said many times in the past, and that’s because sadly it is so true; That we all, each and every one of us, has known someone, a friend, a family member, even ourselves, that has fought and either won or lost a horrendous battle with Cancer!! 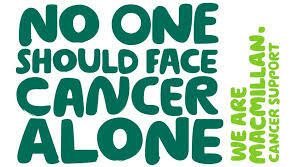 More than 331,000 people were diagnosed with cancer in 2011 in the UK, that’s around 910 people every day. More than 1 in 3 people in the UK will develop some form of cancer during their lifetime. Macmillan Cancer Support is a UK based foundation that gives amazing care and support to many millions of Brits suffering from all forms of cancer. When my poor auntie Trish was sick, I saw first hand the unbelievable job they did to support her, going above and beyond the call of duty to care, not only for her, but her family too. It was incredible to see the dedication that the Macmillan nurses had, and that is why it’s important we support them by helping fund their amazing work. And that’s where you and I come in. After my successful first half marathon attempt last year (successful in that it didn’t kill me) I’ve decided that now I’ve turned 40, why not go a step further and attempt a full marathon. And of course, if I’m going to do it, why not try and raise a few pennies for a good cause? There are few better causes to support than The Macmillan institution. 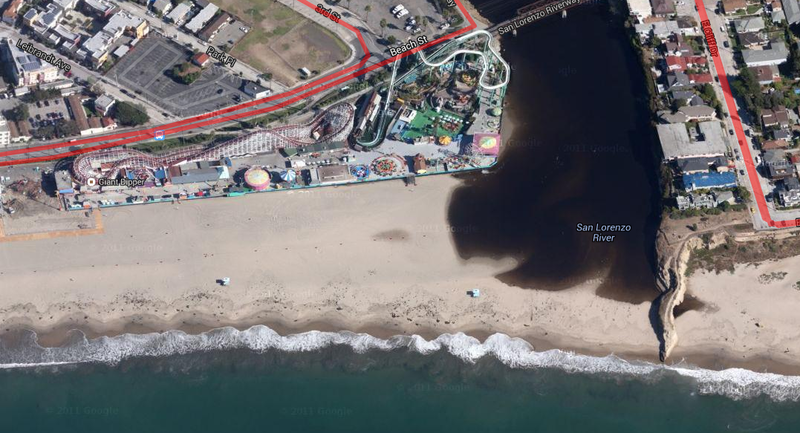 The marathon I’m going to run (attempt) is The Surfer’s Path Marathon in Santa Cruz, California. At 7:00am on Sunday May 18th, that’s exactly 12 weeks from today, me and my aging limbs will endeavor to run 26.2 miles along the spectacular California coastline, and in doing so, raise some money in the process. So here’s what I propose– if each one of my friends and family, including subscribers to this BLOG, Facebook friends, followers of my FB Nomad page, and Twitter friends, puts aside a couple of coins every day for the next 12 weeks, maybe tuppence for the Brits, a nickel for my American friends and family, perhaps a 50 won coin for my 친구s in Korea, then come race day, without barely even noticing, you’ll each have accumulated in the region of £2, $5 or ₩5,000, or of course more if you’d like. My best guesstimate then, is that between us we might raise as much as £1,500 for this amazing cause. And if each one of us shares this post, re-blogs, reposts on FB, retweets etc, think of the potential money we could raise. It’s only a small amount of money individually, but collectively it will make a huge difference, and will be greatly appreciated by myself and the millions of people that it will contribute towards helping. I’ll be posting occasionally with gentle reminders of this cause, and also updates on how my training is going. I am 40, after all, and I realise that this will be a huge challenge for me. But with your support, I’m confident that we can succeed, both in the run itself, and in raising some much needed funds for the Macmillan nurses. Thanks a lot, you are all awesome. 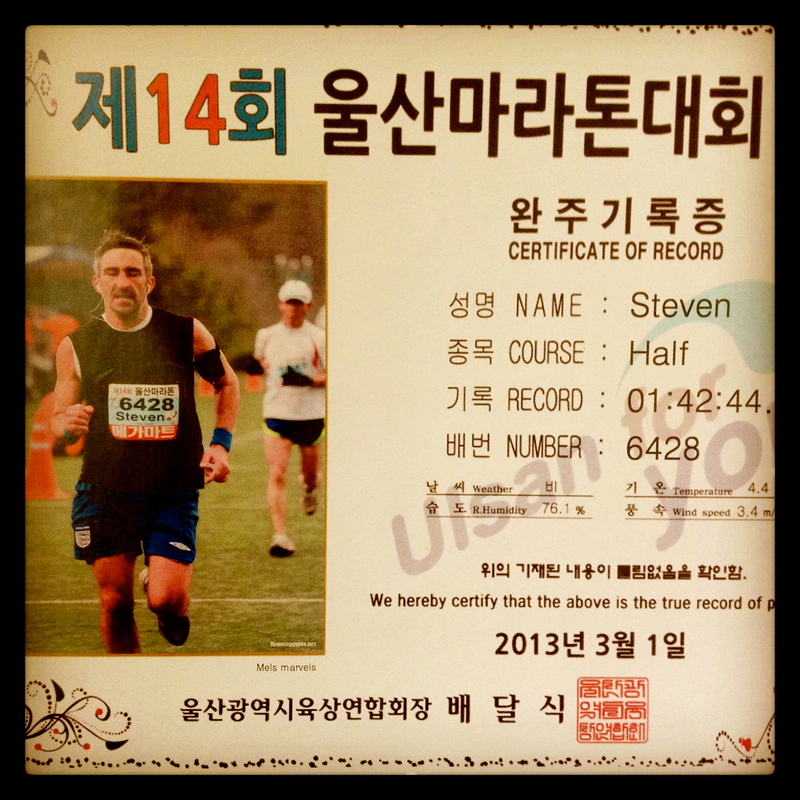 12 weeks to go…better go out for my first training run, eh? Here’s where I’ll be starting, and (hopefully) finishing. Yes, that is The Lost Boys boardwalk and the bridge that they hung from. Love it. This is awesome, Steve! I am so proud of you! Great idea, I’ll put some Mao’s aside to contribute too. I lost my father to cancer so any research in aid of finding a cure is very close to my heart. Good luck! Thanks great. Corlie, thanks a lot. Sorry to hear about your father. My family have lost a couple of members and some dear friends to cancer, so it is close to our hearts too. Just be aware, Macmillan doesn’t really do any research as such, but its main focus is to fund the excellent nurses that care for the sufferers. I hope you can still spare a few Maos.